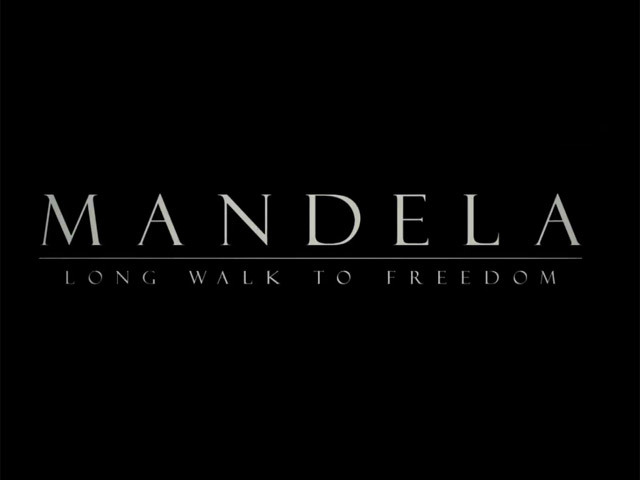 Based on his autobiography, this film is clearly designed to be the definitive film about Nelson Mandela. And it tells his remarkable story with skill, tracing his life from 25 to 75 while touching on why he's perhaps the most important figure of the past century. So it's no wonder that the film feels far too constructed and polished. It starts in his Xhosa village birthplace, then follows Nelson (Elba) to Johannesburg in the 1940s as a sparky young lawyer with a loving wife (Pheto) and children. But the vicious injustice of Apartheid gets under his skin, and as he starts speaking out and taking action, his marriage falls apart. South Africa's government responds to protests by cracking down even further, so Nelson's African National Congress turns to violence. As a result, its leaders are sentenced to hard labour on Robben Island. Now married to the outspoken Winnie (Harris) with two more daughters, Nelson is sent away for life. But he refuses to let bitterness gain a foothold, and devises a way for the nation to peacefully transition into democracy. Mandela's legacy lies in his wisdom and open-mindedness, avoiding a bloodbath by seeking reconciliation rather than revenge. And these themes play an important role in Nicholson's script, which of course has to condense the events drastically, even for a two-and-a-half hour movie. But all of the key moments are here, and even if the film sometimes feels like it's racing through them, there's plenty of subtext for the actors to grab hold of. Nelson Mandela was a South African anti-apartheid revolutionary and the first black President of South Africa when he was elected in 1994 after spending 27 long years behind bars under the conviction of sabotage and plotting to overthrow the government. He has been a symbol of hope to the world and has received more than 250 awards, including the Nobel Peace Prize, for his efforts to restore peace and brotherhood between the white man and the black man. Now, at the grand age of 94, he is peacefully looking towards the end of his life and what better way to pay tribute to this extraordinary individual than to document his life story in film to remind the world just how important this man was to the history of humankind. 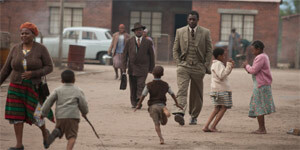 This dramatic biopic has been adapted from Mandela's 1994 autobiography 'Long Walk to Freedom' which documented his childhood, growing up, his education and his harrowing life in prison before being welcomed on his release as a hero. It has been directed by Justin Chadwick ('The Other Boleyn Girl', 'The First Grader') and written by William Nicholson ('Les Misérables', 'Gladiator', 'Nell') and will hit UK cinemas next year on January 3rd 2014. They were an elite unit of the SAS, eight Brits sent behind enemy lines in Iraq to knock out Saddam Hussein's Scud missiles -- facing incredible odds, wearing 210-pound packs, out of touch with HQ, facing bad weather, going uphill both ways. And I just can't bring myself to care.